Diversification is a very wide term. Applied to investing, diversification refers to adding more than one type of security or asset to your overall financial portfolio. Many average investors do this by default, when they buy small amounts of gold for the future, along with putting money in a fixed deposit and having a second apartment that they may have rented out. Add to this a mix of portion of equity investments and you have a diversified asset portfolio. Diversification mainly helps in smoothening out income, as you are able to earn from more than one type of asset. Say, the equity markets are in a downturn, you can still rely on your other assets like real estate or gold to generate liquidity. On the other hand, if your fixed deposits are giving you very little in a falling rate environment, you can maybe look towards growth assets like equity for a higher long-term return in the portfolio. Diversification can be applied in other ways too. 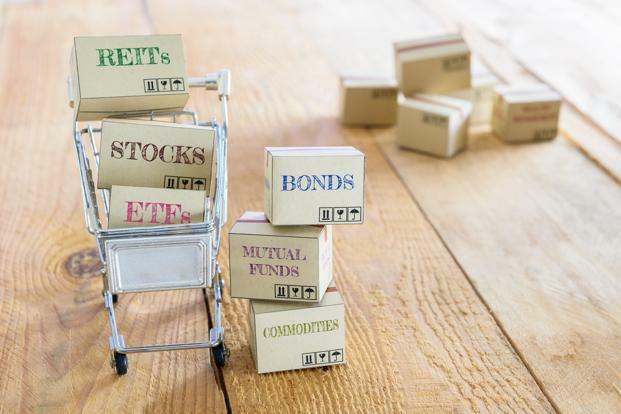 Investors tend to buy into more than one mutual fund scheme in any one category and fund managers usually have more than one security in scheme portfolios. Even in case of fixed deposits, very often people have fixed deposits in more than one bank. This can help because, in the worst-case scenario if there is trouble in one security, there would be the comfort that other securities would remain on track. Portfolio managers—be they in debt, equity or real estate—spread their funds across entities, shares, bonds and projects. If one of the investments doesn’t perform as expected, the others are there to rely on. Another way of effectively diversifying your risk is to invest in assets that are located in more than one country. When you do this, you not only have a different entity within one asset class, you are also taking on exposure in a different currency. For example, if you buy an apartment in the UK, your exposure is in British pounds , not Indian rupees. Similarly, if you invest in a US-based equity fund, you will be exposed to the fortunes of equity investing in the US market and to the changes in US dollar. This is another way to reduce the risk of reliance asset growth cycles and patterns in one economy and get the benefit of trends which are occurring in regions beyond your own. There is always the danger that in a bid to reduce risk of exposure to one type of asset, company, or market; you end up investing in too many companies across too many markets and asset classes. What is the danger in doing so? diversifying too much can lead to lower-than-expected returns. The risk with adding too many companies or having every type of asset in your portfolio is that the positive performance of some will be negated by the lack of performance from the others. The adequate level of diversification is a debatable topic and can also differ across assets and geographies. In case of real estate, having four or five properties in different cities is adequate diversification. But even this level of diversification is hard to achieve for the retail investor, given the price of each purchase and limited availability of managed funds. On the other hand, in case of equity, owning four or five large-cap funds that have 40-50 shares each may be considered over-diversification.